We are respected, experienced and talented heating and air conditioning professionals working as a team to deliver the best HVAC service available anywhere. We are committed to be the best at what we do; in the office and in your home. Integrity in Home—delivered by courteous professionals, demonstrated by what we do, evident in our workmanship, and backed by our guarantees. Hobbs Home Comfort provides quality HVAC maintenance, repair and system upgrade services to homeowners and businesses across metro Atlanta. 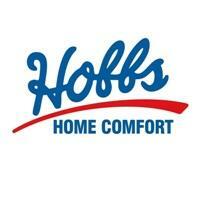 Hobbs Home Comfort is the residential service division of J. R. Hobbs Co. – the Southeast’s leading multi-family, commercial and mixed-use HVAC contractor since 1971.